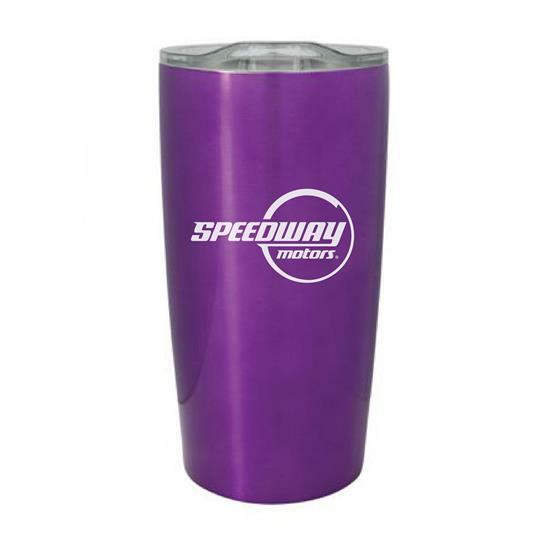 Enjoy your favorite beverage in style - with our Speedway Motors Stainless Steel 20 Oz Tumbler. Keep your morning coffee hot or your favorite iced beverage cold for hours with this double-walled stainless construction. With a spill-resistant lid, you can go about your day showing off your Speedway swag with no fear of leaks or spills to ruin your day.